The Pilar McCurry Mentorship Fund for Diversity has been established to carry on the visionary legacy of one of the music industry’s most remarkable women. Pilar was a rare, special person, a loving mother, an exceptional talent, a trailblazing music supervisor, and dedicated friend. Her pursuit of excellence always set a high standard, creating musical moments that reverberated around the world. For nearly a decade, Pilar served as senior vice president of music creative affairs at Sony Pictures Entertainment. During her tenure, she managed 50+ projects while music supervising more than 20 films. In addition to Stomp the Yard, that slate included You Got Served, Takers, The Gospel, Lakeview Terrace, This Christmas, The Karate Kid, Pursuit of Happyness, and Hitch. 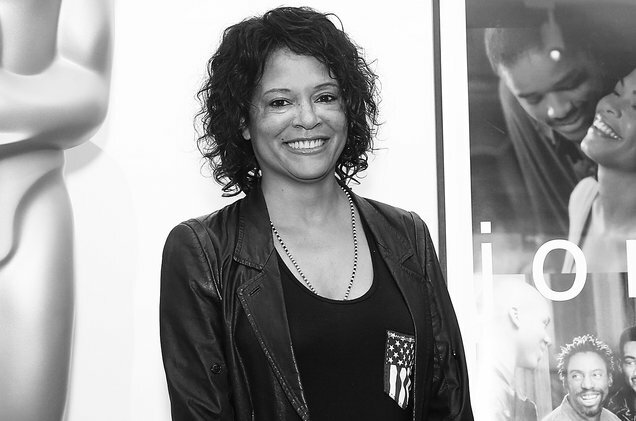 Prior to joining Sony, Pilar served as VP of film music & soundtracks at Will Smith’s Overbrook Entertainment. Among the Overbrook-affiliated soundtracks that she executive produced and A&R’d were Wild Wild West and Love & Basketball. Between 1996-1999, Pilar worked as an independent music supervisor. Projects under her Rhythm Oil banner included Doctor Doolittle in addition to Men in Black, Love Jones, Gridlock’d, and Set It Off. She launched her career in 1994 during a two-year run as VP of film music & soundtracks for Sidewinder Entertainment, serving as music supervisor and soundtrack executive producer for Bad Boys and To Wong Foo, Thanks for Everything! Julie Newmar. Going independent once again via Rhythm Oil in 2010 until her untimely death, Pilar oversaw music for the pilot of Showtime’s The Chi, A&E miniseries Roots and seasons one and two of Nickelodeon’s Make It Pop. She also became the first music supervisor to be granted voting membership with The Recording Academy, which ultimately led to the establishment of the Guild of Music Supervisors. Over the course of her nearly 25-year career, Pilar worked with artists such as Will Smith, Beyoncé, Chris Brown, ?uestlove, Aaliyah, Enrique Iglesias, Lauryn Hill, 2Pac, and En Vogue. Donations can be made to the Pilar McCurry Mentorship Fund for Diversity to continue her commitment to providing pathways for students who may otherwise not have the opportunity to explore, create, and commit to a dream. On behalf of Pilar’s family, thank you for your support.